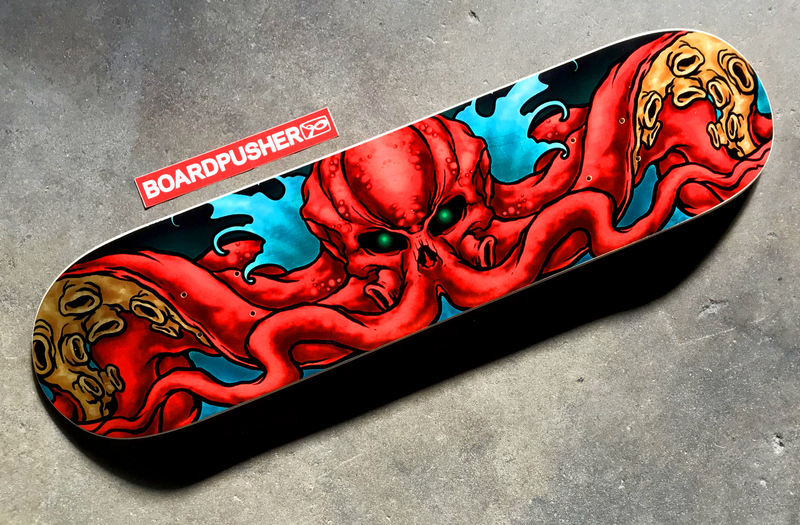 Photographer Matthew Hampton also dabbles in design with his Youth In Asia brand, which spawned this Cthulhu Featured Deck. Find more of Matthew’s designs here, check out his photography at injectedphoto.com, follow him on Instagram @injected_photography, and, finally, search through his skateboard graphics at BoardPusher.com/shop/youthinasia, many of which can also be used as a customizable background. 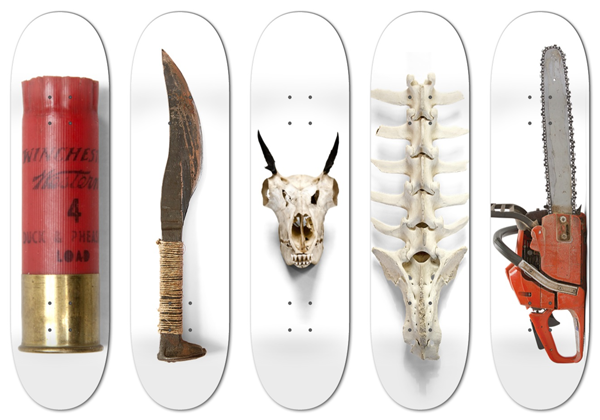 Any of your ideas/mediums can become custom skateboard graphics at BoardPusher.com. Today’s Featured Deck was created by Todd Williams using one of the customizable backgrounds available at BoardPusher.com, this one uploaded by photographer/designer and good friend of the company, Jeff Nass. Todd found the whole process incredibly smooth, “Getting this beauty made for my friend was so easy it was almost too good to be true. 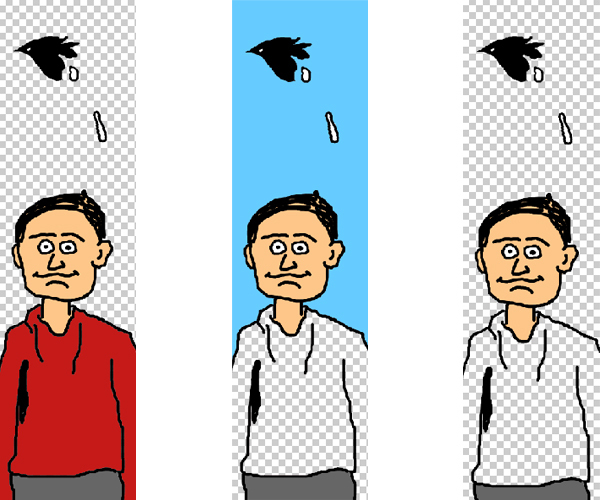 5 minutes in photoshop, 5 minutes on your website and voila! A sweet custom deck that brings smiles wherever the wheels are up. I was super impressed with the quality and clarity of the deck graphic.” Find more of Jeff Nass’s skateboard graphics, all of which are also available as custom backgrounds, at BoardPusher.com/shop/jeffnass. 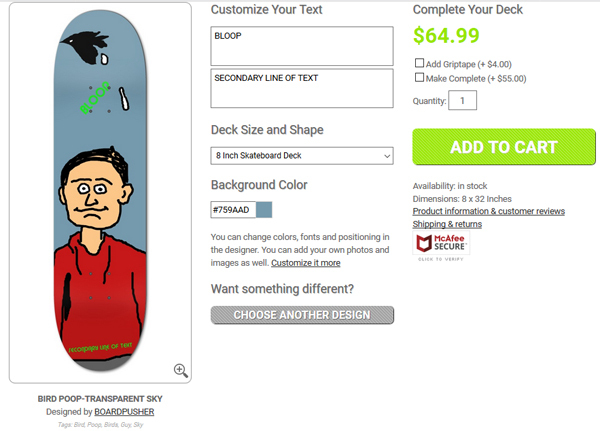 Upload your own images and add text to custom backgrounds when creating your own skateboard graphic at BoardPusher.com. 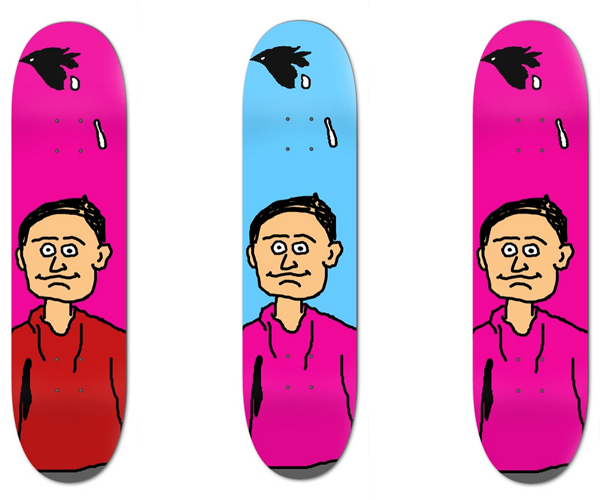 For several years now, Roseanne Jones has created many skateboard graphics and added them to the BoardPusher.com backgrounds library of designs that you can customize with your own images and text. Today’s Featured Deck is her “Emo Skull” graphic. You can find more of Roseanne’s artwork here or you can view the rest of her skateboard designs at BoardPusher.com/shop/roseannejones. 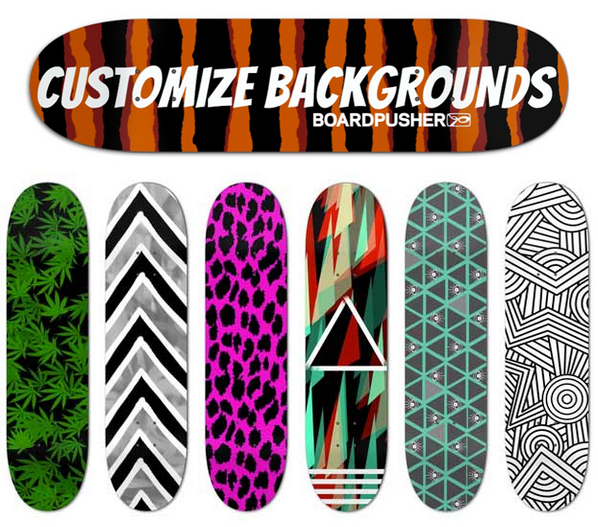 Browse hundreds of customizable backgrounds to aid you in creating your own personal skateboard graphic at BoardPusher.com. Today’s BoardPusher.com Featured Deck is the customizable background “The Devil Bleeds” created by Brandon Crawford. This custom skateboard graphic was completed with Bullet Trucks and OJ Hot Juice Wheels. Brandon has several backgrounds available for you to customize by adding your own text and uploaded images. Browse his designs at BoardPusher.com/shop/reversal_boards. 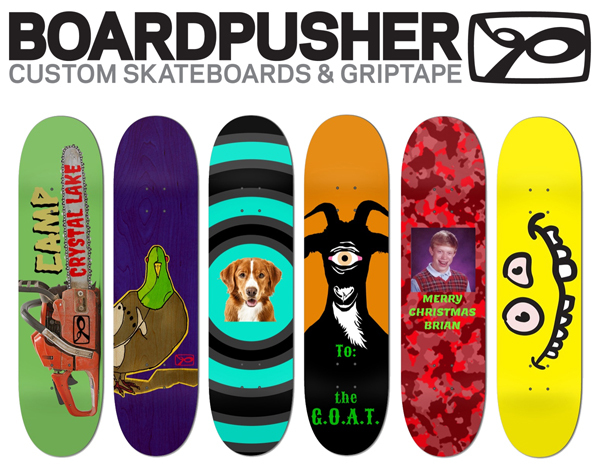 Find out how to offer your own skateboard graphics as custom backgrounds at BoardPusher.com. Today’s Featured Deck was created by Kaylayna Knecht using only the tools provided in the BoardPusher.com online deck designer. Kaylayna selected a custom background designed by CREEP SHOW, chose her own base color, layered one of the fonts provided for free on our site, and voilà! 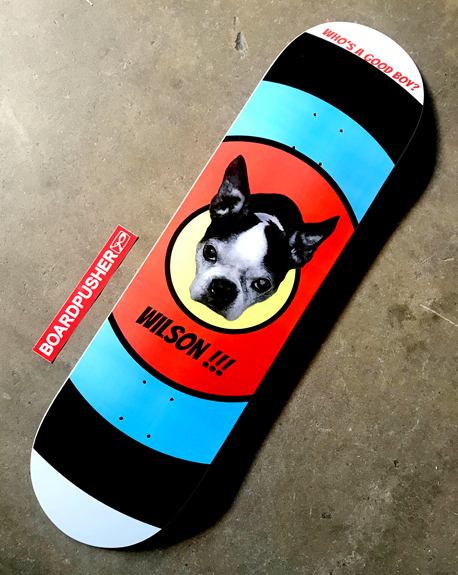 Select a customizable background, choose from a variety of fonts, and/or upload your own image to create a custom skateboard graphic at BoardPusher.com. BoardPusher.com makes it easy to create a unique skateboard graphic that looks great even if you aren’t a professional designer. Choose from hundreds of pre-designed backgrounds that you can add your own image or even several photos to and you’ll have a one of a kind skateboard gift that your loved one will always remember. Use our text generator to select different fonts and colors to add the recipient’s name or create a personalized message. We have different background bases to select from as well: a natural background for a raw organic look, full color for a bright and vibrant finish, and a silver base that adds a shiny metallic sheen to your graphic. The possibilities are endless, so have fun with it. Check out the video below to see just how simple it can be. You can browse all of the available backgrounds by opening up the BoardPusher.com designer and the designs will appear below the skateboard preview. 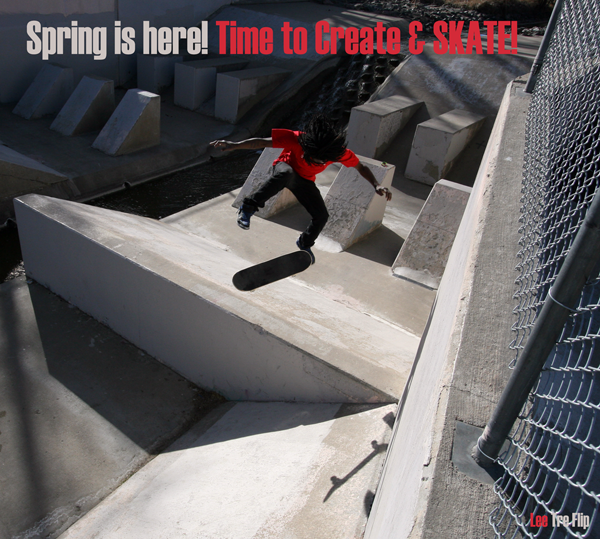 Time to start spring off with a fresh crispy deck. Get creative and design a new graphic for yourself and your crew. 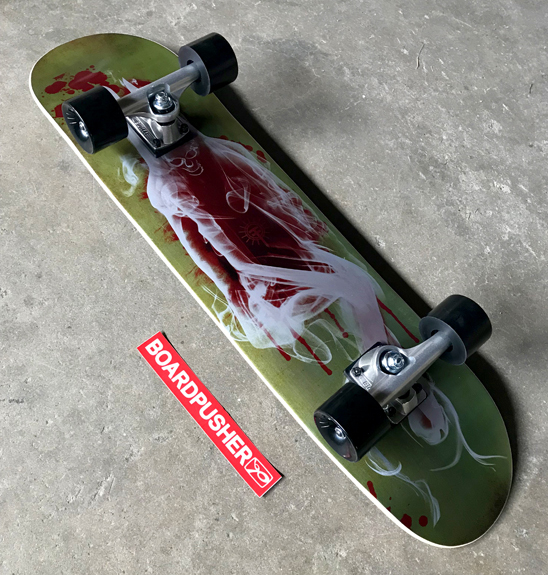 Remember, BoardPusher.com offers several shapes, custom griptape, and an assortment of top quality trucks/wheels so you can configure your perfect setup! Upload your own graphic and photos or choose from hundreds of custom backgrounds and add your own text in our deck generator. Order a single deck for yourself, or get bulk pricing discounts for orders of 10 decks or more. Try creating a free profile where you can save, modify, and reorder your own graphics. Orders are shipped 24-72 hours after they have been placed. 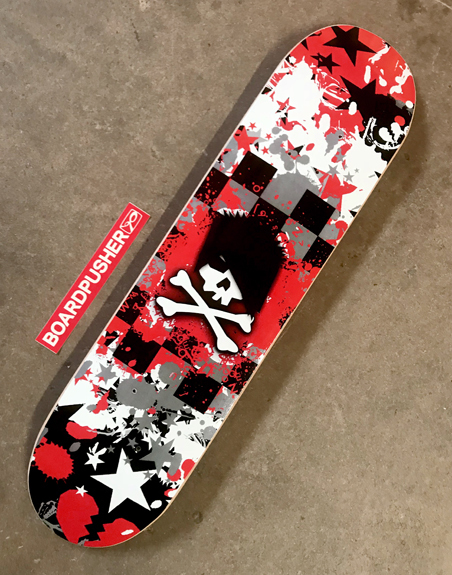 With lots of pattern graphic options to choose from, you can add your own image or text to an already crafted background design to create your own unique skateboard graphic. Browse some free pattern designs, or choose an artist’s graphic for just $10 more on BoardPusher.com. Not a designer? Not a problem. 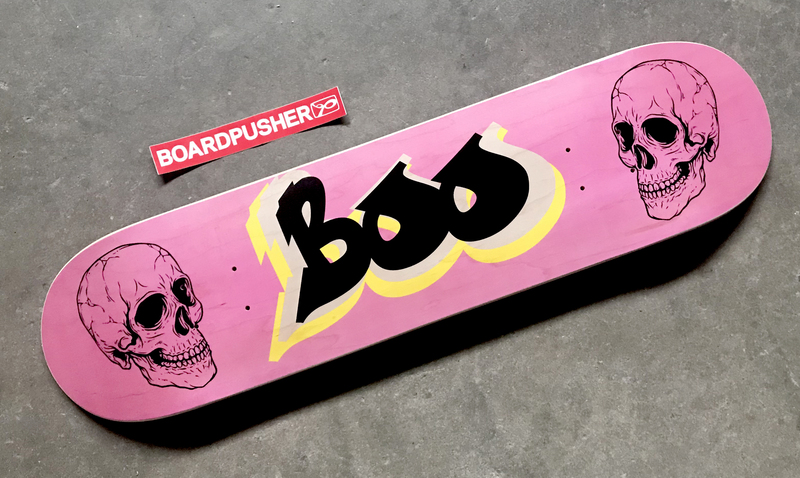 BoardPusher.com has hundreds of customizable background graphics for you to choose from to help you create a truly unique skateboard graphic. 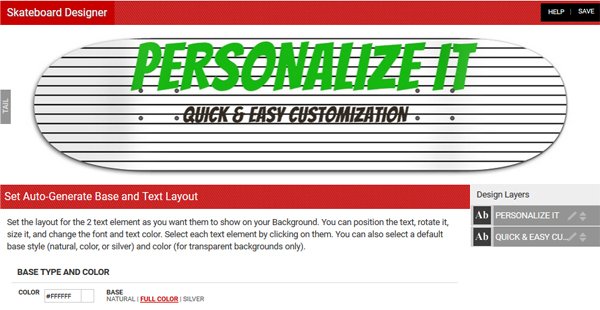 You can use the font options to add text, change the base color, or upload your own pictures and images. Check out the video below to see just how easy it can be to make great looking decks with custom backgrounds. Watch how quick and easy it is!